On 1 August 2018, Dr. Rodolfo Lacy was appointed Director of the Environment Directorate of the Organisation for Economic Co-operation and Development (OECD). Dr. Lacy holds a Doctorate Degree in Environmental Science and Engineering from the Universidad Autónoma Metropolitana (Mexico), a Master's Degree in Urban Studies and Planning from the Massachusetts Institute of Technology (MIT), a Bachelor's Degree in Environmental Engineering from the Universidad Autónoma Metropolitana (Mexico) and a certificate in Leadership on Environment and Sustainable Development from El Colegio de México. 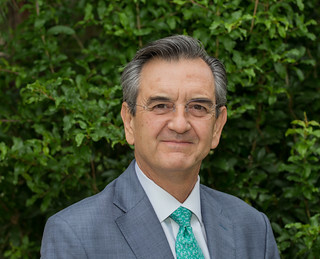 Dr. Lacy has been Vice Minister of Environmental Policy and Planning at the Ministry of Environment and Natural Resources of Mexico (2012-2018), Chief negotiator of Climate Change (COP19-COP23), Co-chair of the Global Methane Initiative, Member of the High-Level Group of the Global Environmental Outlook (GEO6), and Board Member of the Climate Action Reserve in California, USA. Director of Environmental Planning at the Ministry of Urban Development and Ecology (1982-1987); among other relevant assignments. Dr. Lacy is a Mexican national.